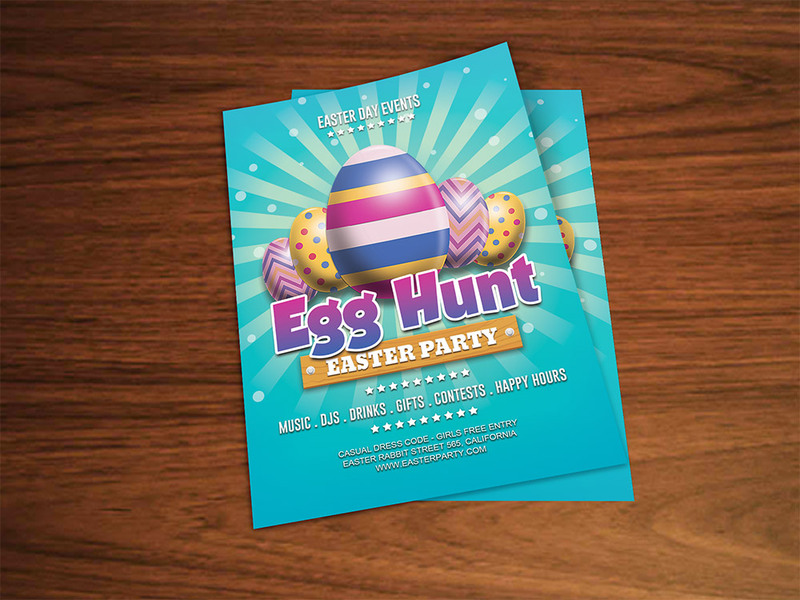 Download Easter Party Flyer Template Free PSD. This Easter Egg Hunt Event Flyer Template is a modern psd flyer that will give the perfect promotion for your upcoming Easter event. Design has a nice mix of color style and fully layered, renamed, grouped and all elements are in separate layers and text is editable. Hope you like it. Enjoy!